If you’re like me, friends and family come to you for all of their technology needs. Whether you’re being asked how to turn on Find My iPhone, how to delete someone on Snapchat, or how to pair Bluetooth to a new car, it can be time-consuming typing out step-by-step instructions to answer their steady stream of questions. Instead of giving yourself carpal tunnel, the screen recording function on the iPhone is a lifesaver (and a thumb-saver). 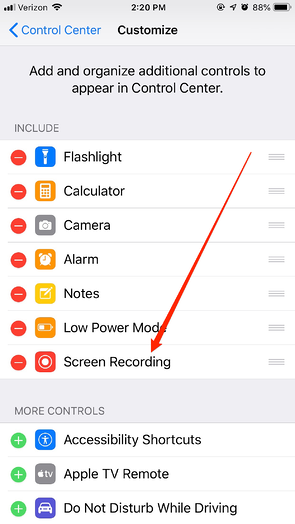 If you’ve never explored this iPhone feature, or are unsure how it works, read on for a full breakdown of how to record the screen on your iPhone. Update the Control Center settings to include Screen Recording. Swipe your screen to access the Control Center to screen record on iPhone. Tap the round Screen Recording icon, wait for the three-second countdown. To stop recording, open the Control Center and press the Screen Recording icon again, or tap the red status bar at the top of your screen. There once was a time when if you wanted to record your iPhone screen, you needed to download a third-party app. Thanks to the debut of iOS 11 in September 2017, those days are behind us. 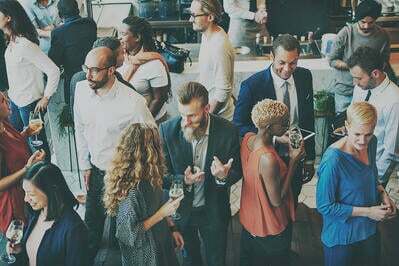 With the addition of the screen recording function, it’s now easier than ever to share with others exactly what’s happening on your iPhone screen. While some obvious examples of why you’d want to record your screen are how to do certain things on social media or other apps, Screen Recording on your iPhone can also be useful if you want to capture a specific bug you’re experiencing, either with the phone or in an app. It’s also great if you want to show a beta iOS launch to someone who doesn’t have it yet. No matter the reason, recording the screen of your iPhone is simple, just follow the below steps. The first step in how to screen record on an iPhone is to make sure it’s an option in your Control Center. If you’re using an iPhone 8, 8 Plus, or X, it’s automatically loaded there. To access your Control Center on the above devices, drag the top right corner of your home screen down. If you have an earlier iPhone model, swipe up from the bottom of your home screen. If you don’t see the circular Screen Recording icon, it’s easy to add. From your iPhone’s Settings, scroll to where you see Control Center. From the next screen, choose Customize Controls. Then, scroll to Screen Recording, and press the green Plus button so it appears under the included features. 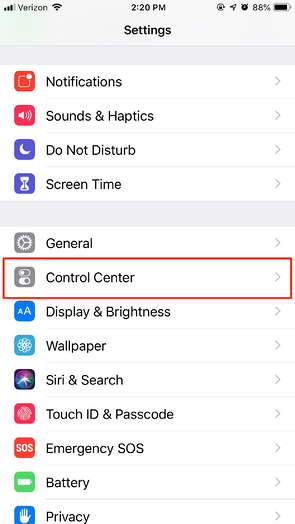 Once the Screen Recording icon is added to your iPhone’s Control Center, it’s time to start recording. It’s important to remember that when you’re recording your screen, any notifications or alerts you receive will also be included. If you’d like to turn notifications off for the duration of your recording, activate Do Not Disturb. You can begin recording your iPhone’s screen in two different ways. 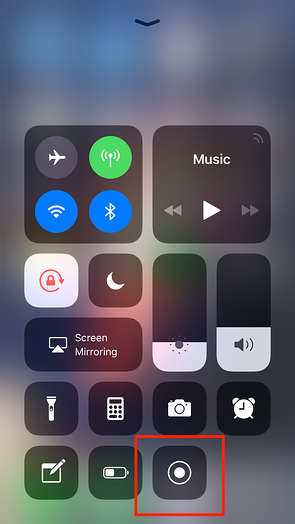 You can start recording your iPhone screen by tapping the round icon from the Control Center. 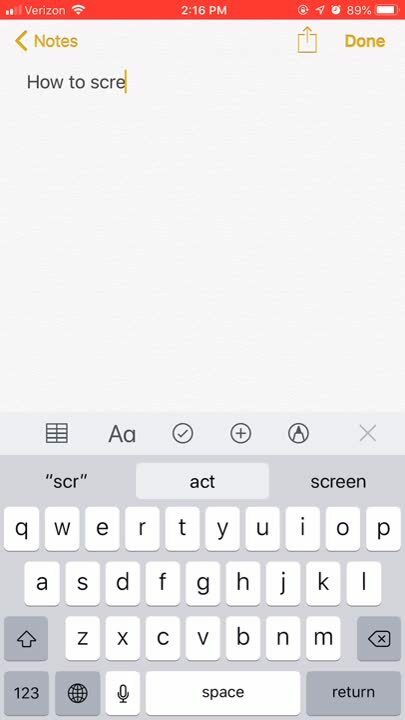 If your iPhone model allows for 3D Touch, you can also tap and hold to be brought to the 3D Touch screen, which allows you to tap the Start Recording option. If you’d like your voice to be included in the recording, or sound from your iPhone to be recorded, select to turn the Microphone On. 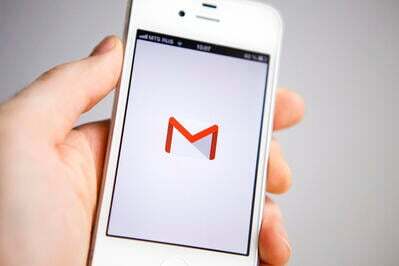 Remember to turn your iPhone ringer on, too. Whichever way you choose, you will be given a three-second countdown before your iPhone begins recording the screen. Once you’re done, either tap the red status bar at the top of your screen or return to the Control Center and tap the round Screen Record icon a second time. You can find the finished video saved in the Photos folder of your iPhone. If you don’t want your screen recording to include the beginning and end, when you’re tapping the record button, you can delete that portion of the video by selecting the Edit button and moving the sliders to your desired beginning and endpoint. 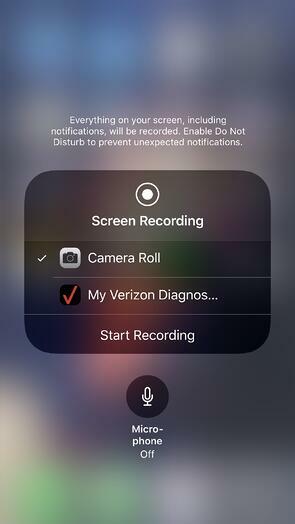 When your iPhone screen recording is exactly how you want it, it’s easy to share with family and friends, add to Notes, post to social media, and more. Not a fan of the built-in screen recording feature? There are a variety of free apps you can download from the App Store that will also record your iPhone screen. No matter what you’re using the iPhone screen recording feature for, it’s both easy to do and easy to share. 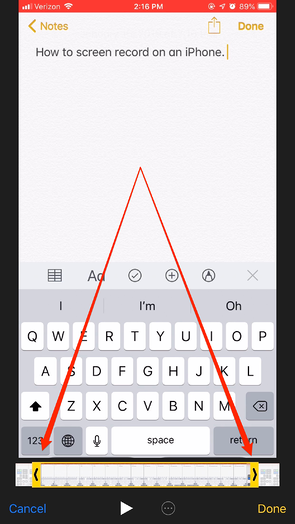 The next time your friends come at you with a “how do I…” question regarding the iPhone, give your thumbs a break, and take advantage of the fact that you can record your iPhone screen instead of typing out step-by-step instructions. Your thumbs will thank you.